Miss Thomas spent her summer holidays in India delivering teacher training to teachers in a very underprivileged area in Punjab. Following her trip, she has shared her experiences with the children in Key Stage 2; this included an assembly about the schools that she worked in and the different places of worship that she visited. Miss Thomas gave each child a photograph of some mischievous monkeys at The Monkey Temple in Shimla, in return, she asked the children to do an extra chore at home so that they could donate some money to help buy some much needed resources for Guru Nanak School. 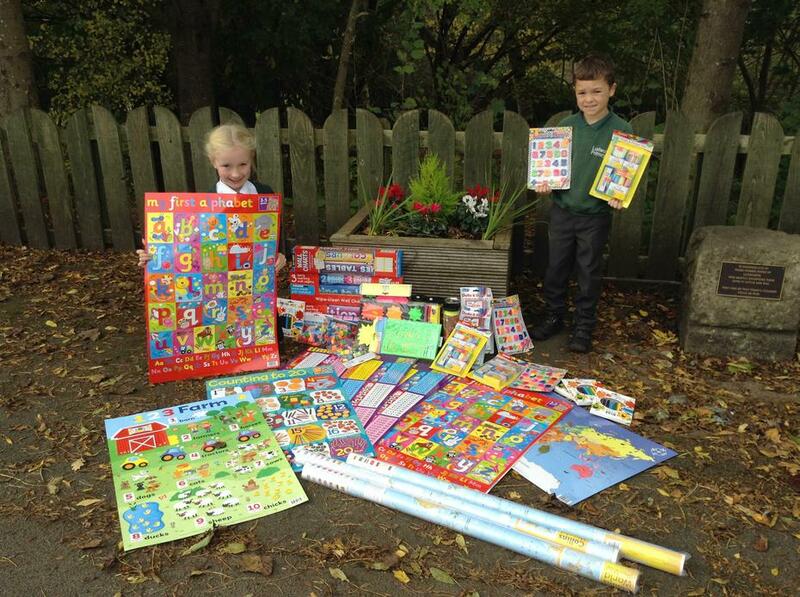 Here are Amelia and Alex (School Councillors for Glennie Class) with some of the resources that are now on their way to India. THANK YOU and WELL DONE Key Stage 2 - what an amazing thing to do!